Meet your new weekend must-have. You'll instantly love its genuine look from the drop shoulders to rounded hem. 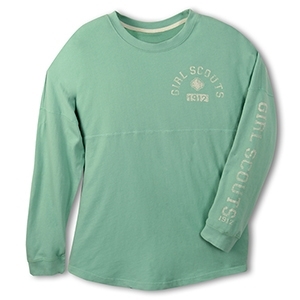 Front and left sleeve emblazoned with "GIRL SCOUTS 1912". Misses Sizing. Relaxed fit. Cotton french terry. Imported.